Good news for new junkies and CrackBerry addicts. PressDisplay today announced that their Mobile PressDisplay software is now available for BlackBerry. PressDisplay offers up more than 500 newspapers from 70 countries for you to peruse. Talk about getting a broad range of opinions. There is a cost of $29.95/month, but you do get to read newspapers as diverse as the New York Times, Le Figaro, The Victoria Times Colonist and the Taranaki Daily all on your smartphone. If you miss a story PressDisplay does keep archives for two weeks for free after which you have to pay per view. 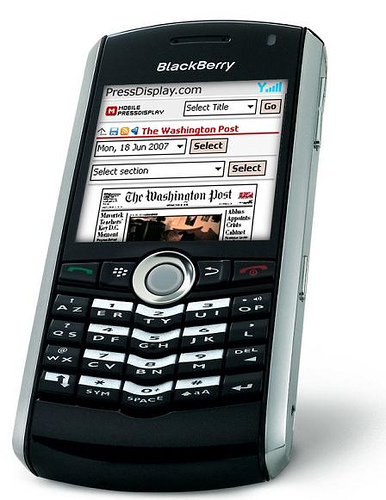 The service is compatible with the Curve, Pearl and BlackBerry 8800.